Covering 3.3 million acres of rugged mountains, dynamic glaciers, temperate rainforest, wild coastlines, and deep sheltered fjords, Glacier Bay National Park is a highlight of Alaska's Inside Passage and part of a 25-million acre World Heritage Site-one of the world’s largest international protected areas. From summit to sea, Glacier Bay offers limitless opportunities for adventure and inspiration. 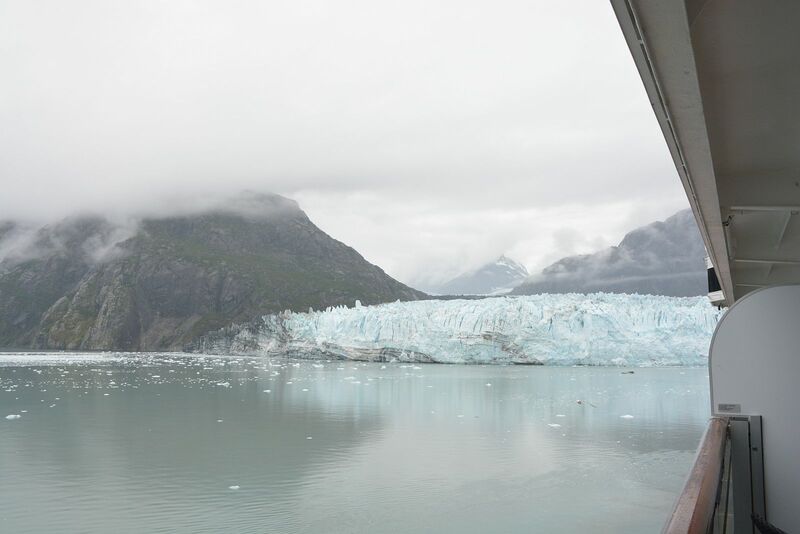 From the bottom of the deepest glacial fjord to the summit of its highest peak, Glacier Bay encompasses some of our continent's most amazing scenery and wildness. 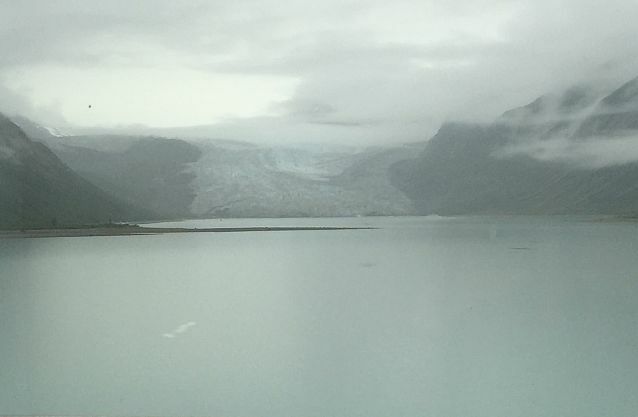 It is a land reborn, a world returning to life, a living lesson in resilience. If ever we needed a place to intrigue and inspire us, this is it. 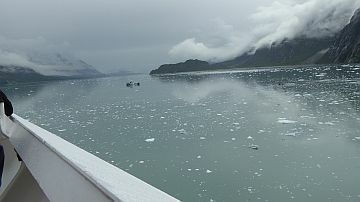 Glacier Bay is a homeland, a living laboratory, a national park, a designated wilderness, a biosphere reserve, and a world heritage site. 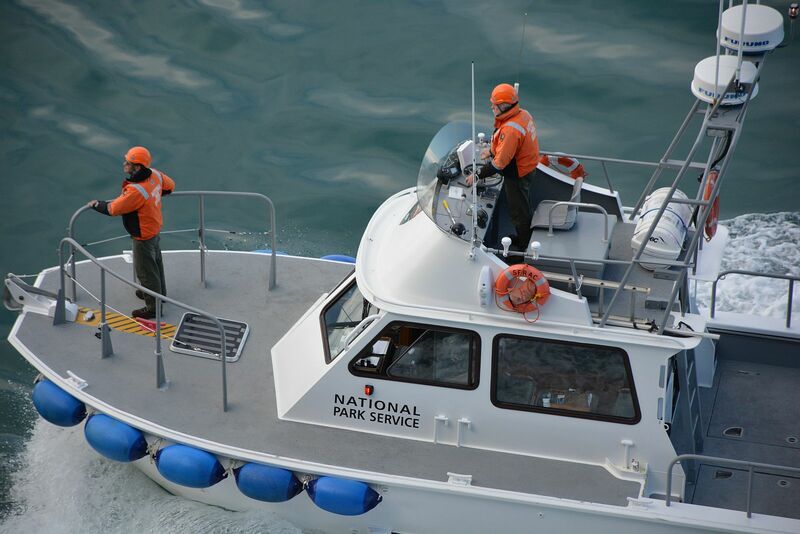 It's a marine park, where great adventure awaits by boating into inlets, coves and hideaway harbors. 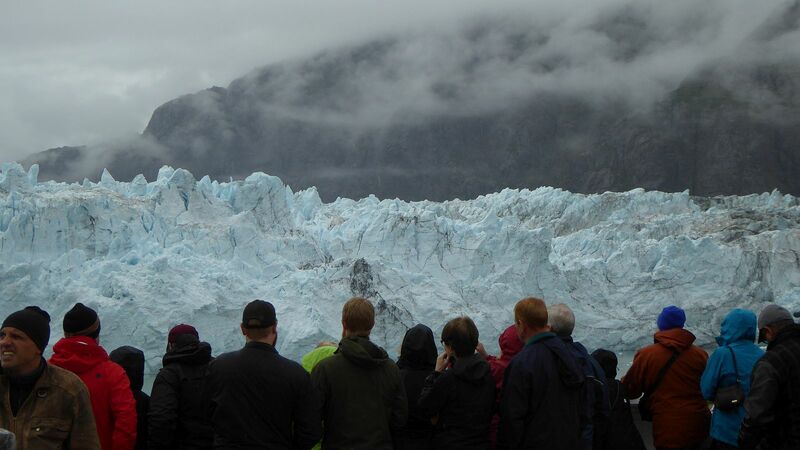 It's also a land park, with its snow-capped mountains, spectacular glaciers, and emerald–green forests. 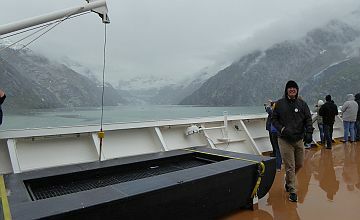 From the summit to sea, Glacier Bay's wildness is remote, dynamic and intact. 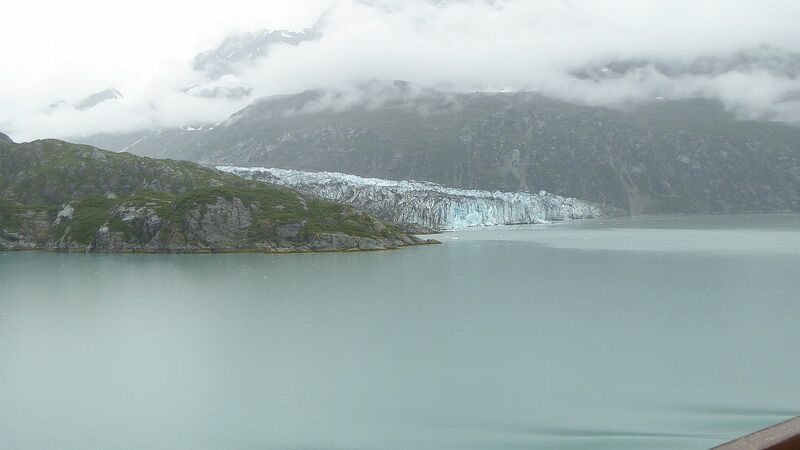 Glacier Bay, the body of water, covers an area 1,375 square miles of glaciers and accounts for 27% of the Park area. 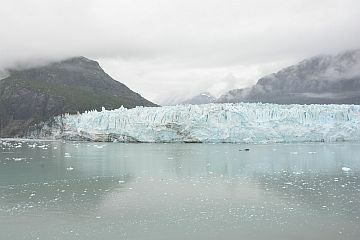 It was a large single glacier of solid ice till early 18th century. It started retreating and evolved over the centuries into the largest protected water area park in the world. 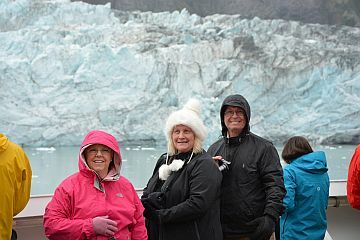 Glacier Bay, on the Gulf of Alaska, was known as the Grand Pacific Glacier about 4,000 feet (1,200 m) thick and about 20 miles (32 km) in width which has since then, over the last more than 200 years retreated by 65 miles (105 km) to the head of the bay at Tarr Inlet, and in this process left separate 20 other glaciers in its trail. 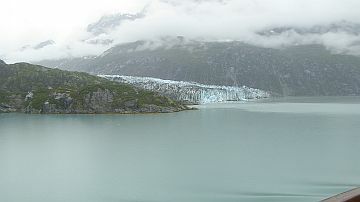 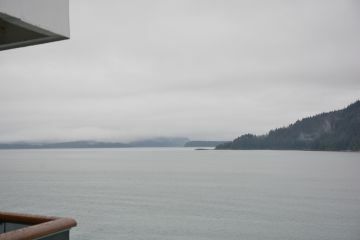 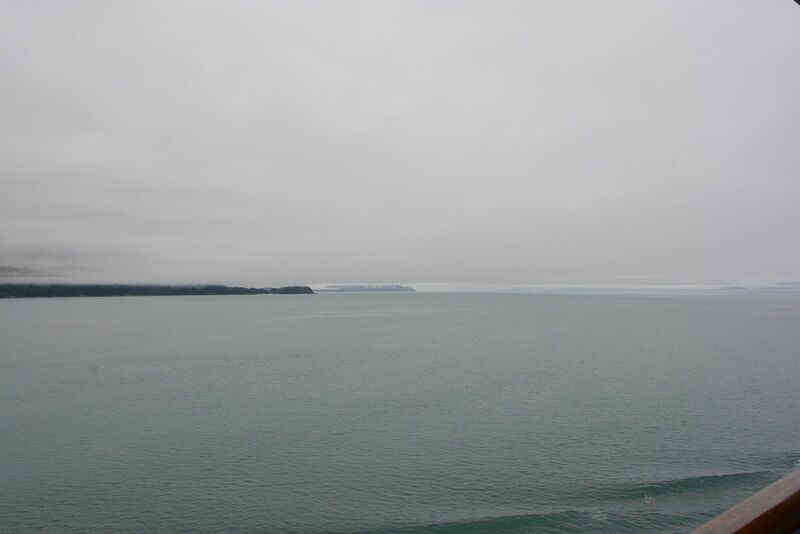 In 1890, the name “Glacier Bay” as such was given to the bay by Captain Lester A. Beardslee of the U.S. Navy. 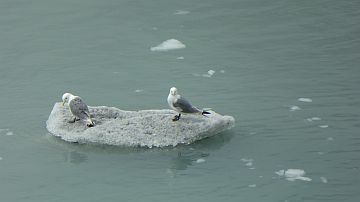 It was first proclaimed a U.S. National Monument on February 25, 1925, by President Calvin Coolidge. 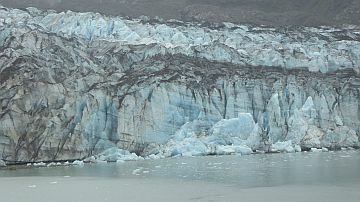 The Glacier Bay has many branches, inlets, lagoons, islands, and channels that holds prospects for scientific exploration and visual treat. 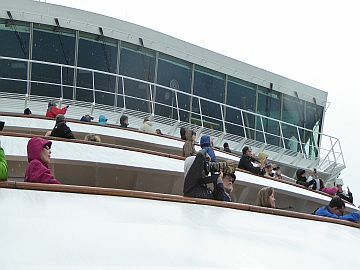 Thus, the area is popular as a cruise ship destination during summer season. 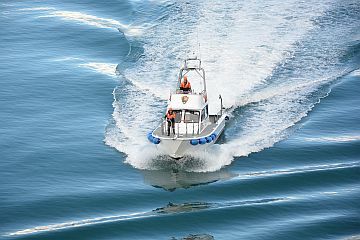 However, there are restrictions imposed by the National Park Service on the numbers of vessels that can operate in a day to 2 cruise ships, 3 tour boats, 6 charter vessels, and 25 private vessels. 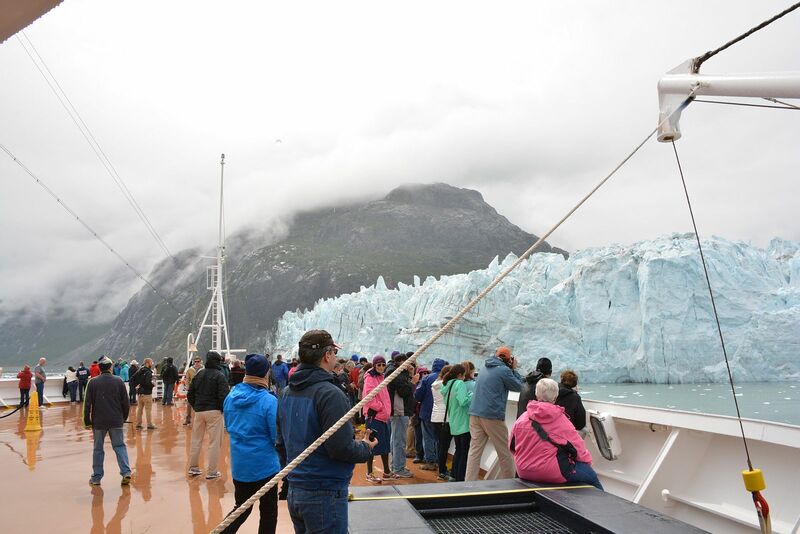 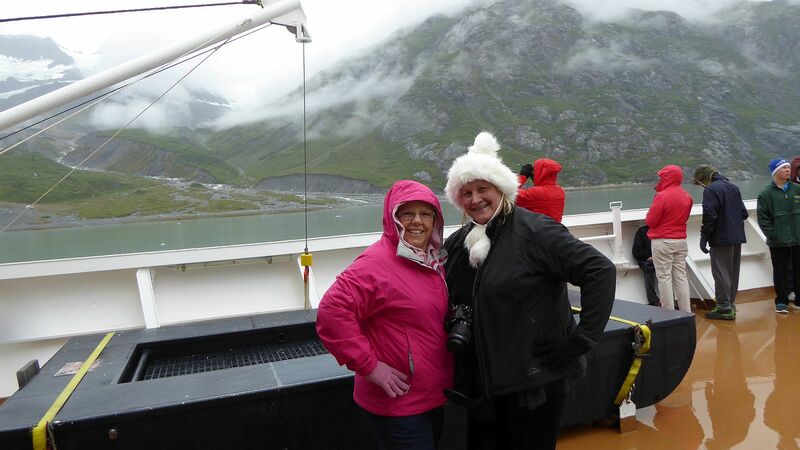 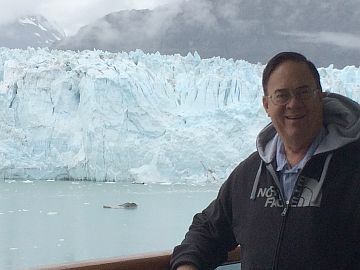 According to National Park Service statistics for calendar year 2009, 444,653 people visited Glacier Bay, with 422,919 of those being cruise ship passengers. 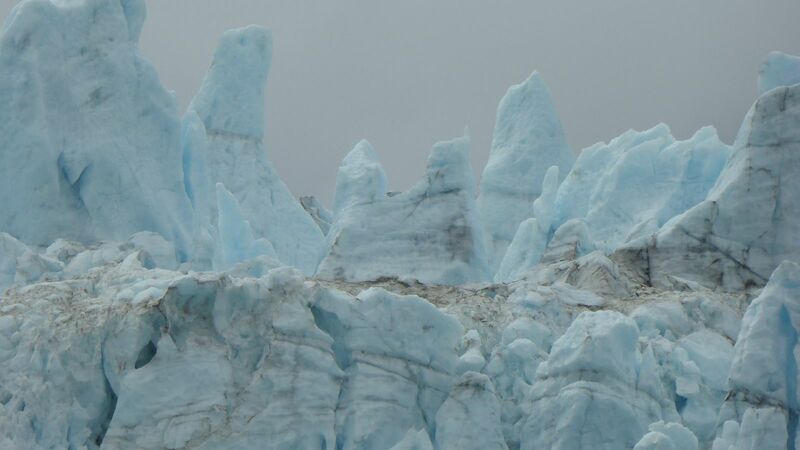 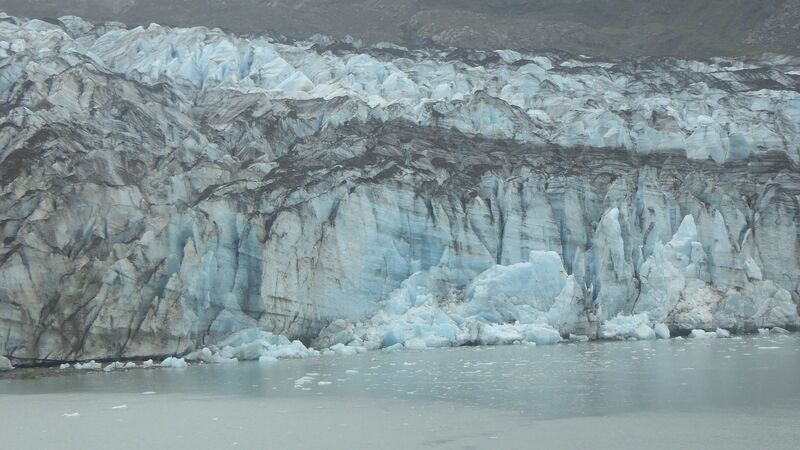 We were told that glacier ice is many times denser than regular ice (like ice cubes). 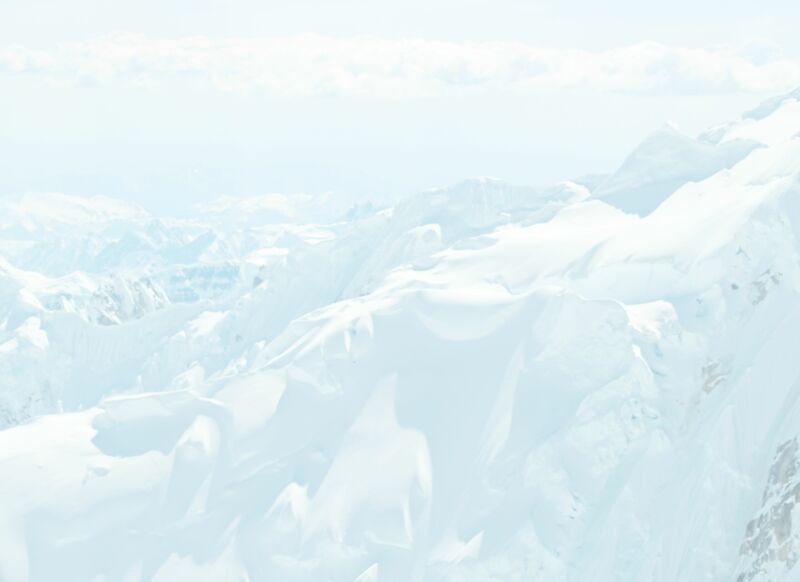 It is not chewable (you will be seeing a dentist if you try to bite it!). 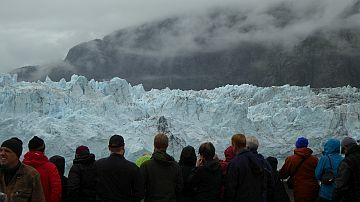 The glaciers have a bluish color because of the density of the ice and its ability to absorb most all colors of the spectrum other than blue. 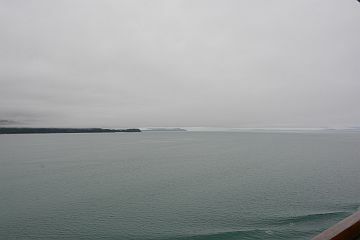 So - we see blue! We had several Park Rangers board our ship. They gave a presentation talking about the glacier. Then, at the end of the day, they left the Oosterdam to return to the park headquarters. 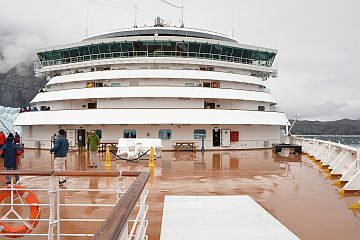 Deck is wet and slippery! 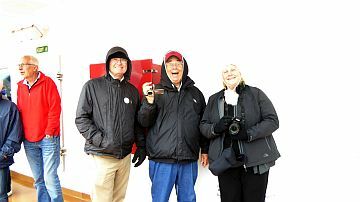 Bill, me and Mary braving the cool air! 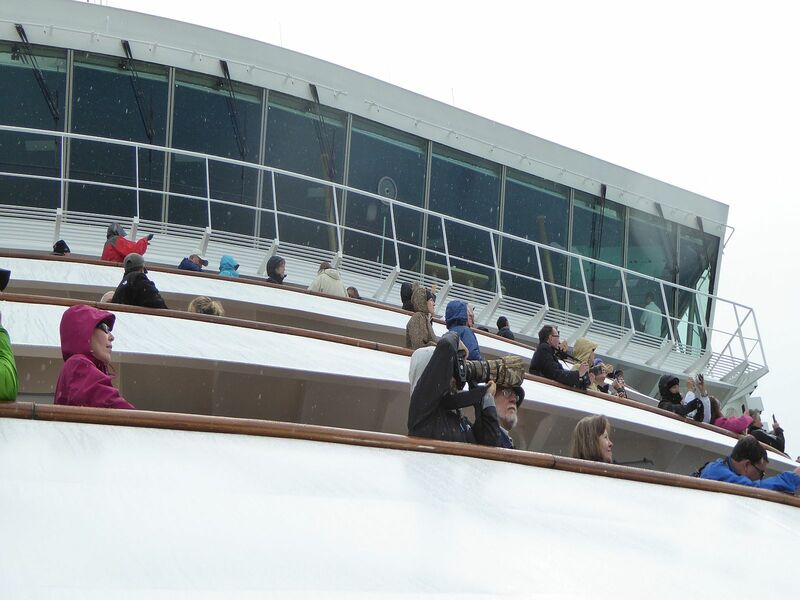 Wow - lots of folks now on deck! 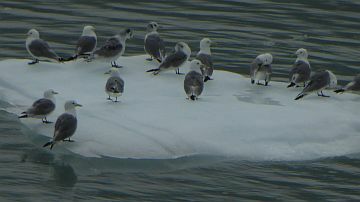 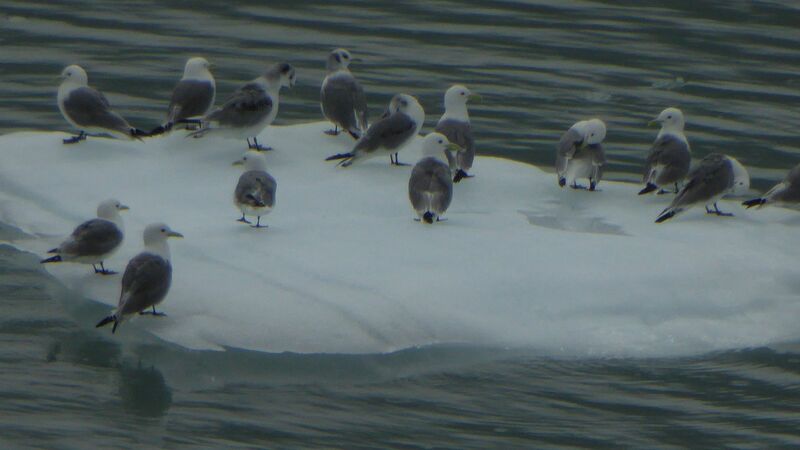 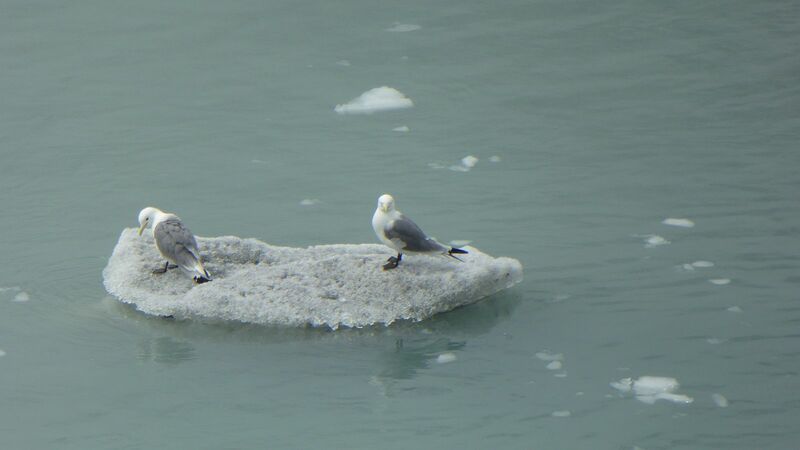 A bunch of seagulls floating on ice!